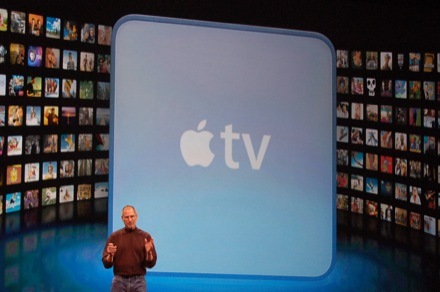 We already heard rumors that Apple would be introducing their new Apple TV, rumored to be called “iTV”, sometime in September. Today Bloomberg is reporting that the latest iteration of the device will be launched during the upcoming September 7th Apple event. While there is still no solid confirmation that there will be an event at all on September 7th, Bloomberg is claiming an anonymous source has confirmed it. Apple is also expected to introduce a new iPod touch during the event that is rumored to feature a higher resolution screen and front facing camera. We will of course keep you posted on any other details that surface, as we get closer to the event and launch of the Apple iTV.